Book a meeting at ICE 2019! 7 Asian languages now covered. Trusted partner for BPO services. Our goal is to offer high-quality, flexible and scalable outsourcing solutions to tech startups, digital agencies and e-commerce businesses. We create unique, SEO-friendly content in over 34 languages. We help you with customer support and daily business processes. We develop reliable software and build dedicated IT teams for you. Outsourcing Bear was founded by seasoned professionals from the digital industry, each with 10+ years of experience in company management, software development and building BPO teams. We have successfully managed projects for over 15 million euro in several European countries, have participated in the development of multiple thriving startups in gaming, e-commerce and online advertising, and have built outsourced teams for Fortune 500 companies. At Outsourcing Bear, we utilize our vast knowledge and experience to help businesses worldwide to grow and to achieve their goals. Our primary client relations office is located in Berlin, Germany, and the operations delivery is completed in Plovdiv and Sofia in Bulgaria. At our company, we strongly believe that outsourcing should not mean compromising the quality of the services being delivered. By leveraging the advantages of emerging Eastern European markets, we are able to offer equal or higher quality services at a much more reasonable price. Outsourcing Bear was not created only for already established, mature companies – we also work with the big dreamers, visionaries, disrupters and go-getters of the IT industry in order to support the next big thing. Our processes and model of operations allow us to offer the same excellent quality services to companies of various sizes. Berlin has become Europe’s best tech hub in recent years, surpassing all other startup ecosystems on the continent. Located in the center of the EU, Berlin is a chosen location for talent and investments from the entire world, including the many American companies that run their European operations from this city. 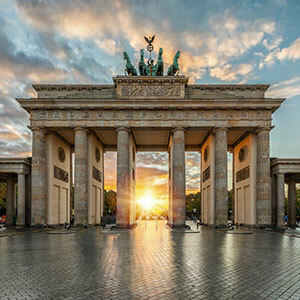 With over 500 startups being formed in Berlin every year, it is no surprise that the city has been named the fastest-growing startup ecosystem in the world and has received the most venture capital investment of any city in Europe for 3 years in a row. There are countless incubators, accelerators, angel investors, VC funds and co-working spaces, which foster a unique ecosystem and provide optimal conditions for the establishment and growth of any startup. The many events and networking opportunities in the city allow tech entrepreneurs to easily find like-minded people for their teams. And with one of the lowest costs of living in the western world – currently 45% lower than London – Berlin is an ideal choice for the 50,000+ (mostly young) people who relocate here each year. 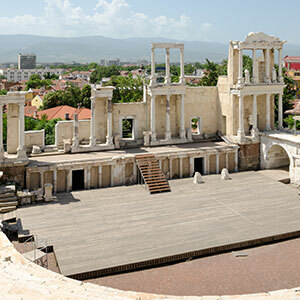 Plovdiv is the second-largest city in Bulgaria, and is located in the central part of the country. It has a rich and interesting history, dating back to the ancient Thracian times. In addition to Plovdiv’s own rapidly developing airport, the proximity to the Sofia airport makes travelling to and from the city extremely easy. Plovdiv’s main economic sectors are manufacturing and services. In recent years, the city has attracted several large international companies who have built production and administration operations there. The city’s population is 370,000, and it also attracts additional workforce from the 1 million people populating the surrounding region. Plovdiv’s IT and BPO ecosystem is developing rapidly, with new companies constantly emerging and settling in the city. The education system is well developed, including 9 universities, 34 high schools and more than 45,000 students. The high schools offer extensive language training in English, German, French, Russian and other languages. And the Technical University and several other universities in the city are actively preparing their students to become quality software engineers and IT specialists. Sofia is the capital of Bulgaria and is also the largest city. 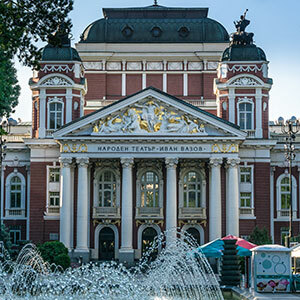 Located in the western part of the country, Sofia is just a short flight away from all major European cities. Sofia has been ranked as one of the top outsourcing cities in Europe for several years in a row. The numerous BPO and IT companies operating in the city employ more than 70,000 people. The startup ecosystem in Sofia is growing rapidly, and has been referred to by many as “the silicon valley” of Eastern Europe. Over 25 of the startups created and developed in Sofia are ranked among the world’s top 5,000 most promising new companies for 2017. The population of the metropolitan area is 1.7 million. Twenty-two of the country’s universities are based in Sofia, with more than 100,000 students. The universities have established linguistic programs in over 20 languages, and their IT programs are training knowledgeable software engineers. The talent pool is a rich mix of both highly experienced and entry-level professionals. The low cost of living and abundance of job opportunities have attracted many foreigners to relocate to Sofia.